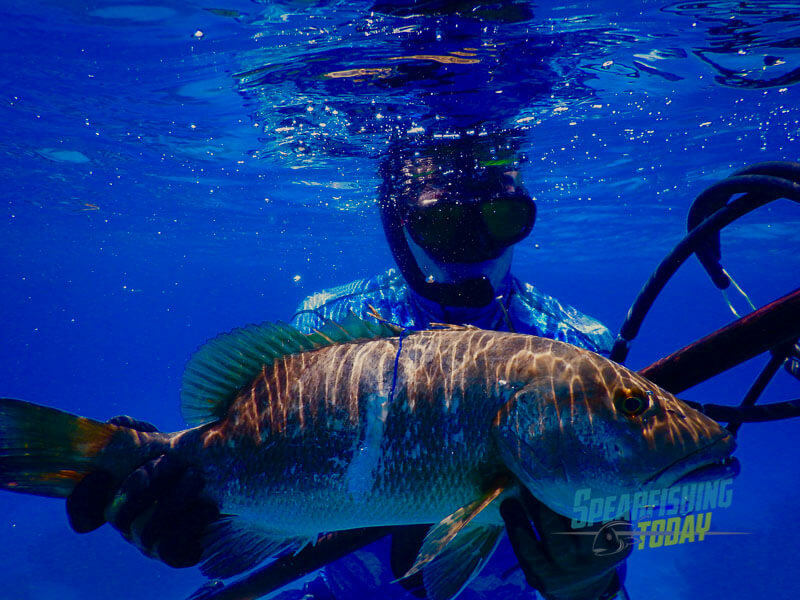 What makes Spearfishing Today what it is? What elements conspire to make us the company that we are almost a decade after our founding? While a lot of highlights could be mention, perhaps none is more important than this: our people. 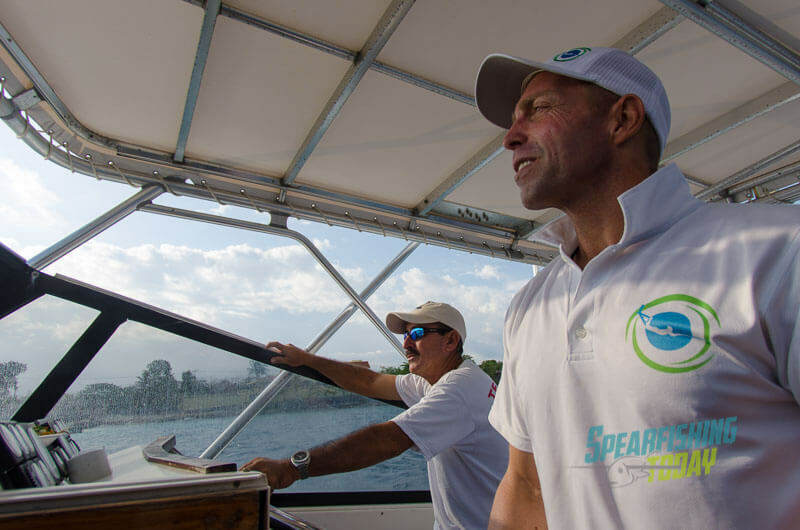 Since Spearfishing Today’s founding in 2008 (yes, ten years is right around the corner), our team has transformed the company into what it is today: the leading spearfishing charter company in Mexico. 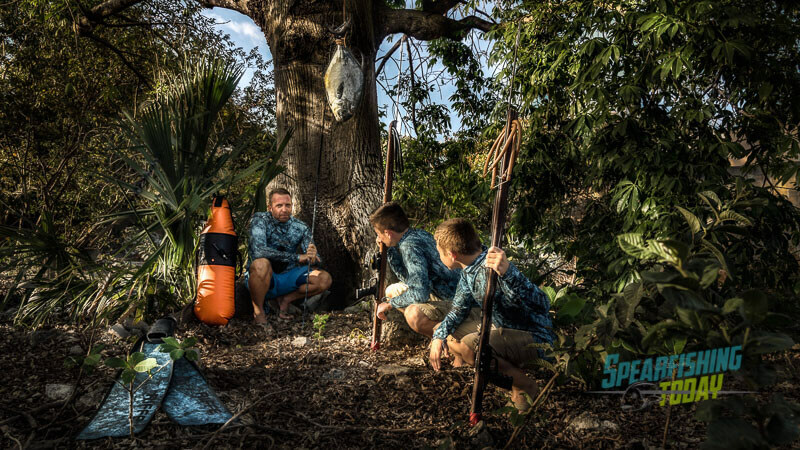 Over the next few articles, we´re going to publish a series of interviews with our spearfishing guides. 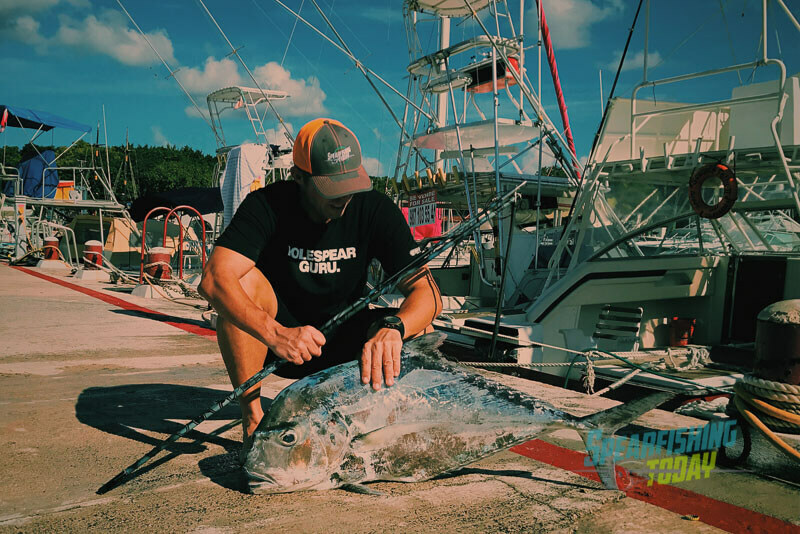 To begin with, we decided to go back to the humble beginnings of the company by interviewing Spearfishing Today’s founder: Leo “Chanoc” Waltman. This interview contemplates just one small part of the overall picture, but it’s an important part of an unfinished history that is still being written. 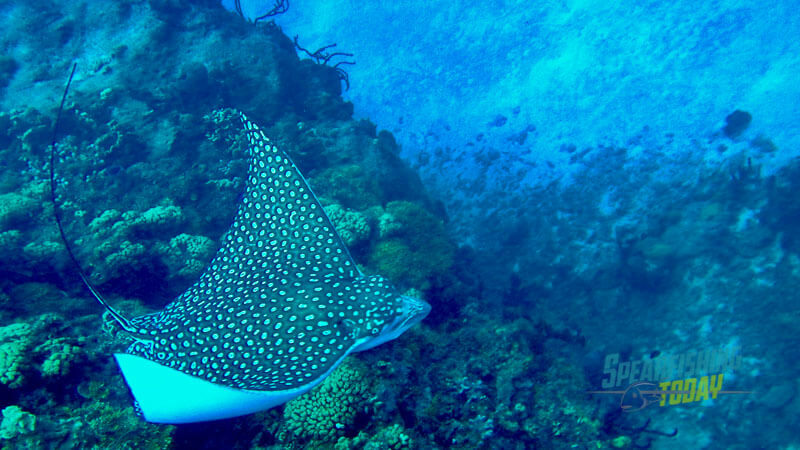 How long have you been living on Cozumel Island? I have been here for 10 years now. ¿How did you wind up on the island? I was intrigued by the state of Quintana Roo. Before moving here, I had considered living in Cancun, Tulum or Holbox. They’re all beautiful places. However, Cozumel ended up as being the best spot for me to live. Living here gives you the possibility to be free and enjoy life to the max. You can disconnect from the real world with all its fast developments. Likewise, you can reset your brain and get back to values in life that really are important. 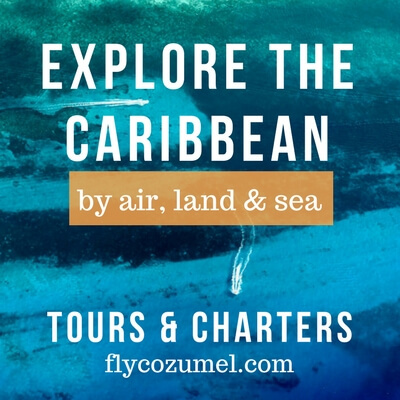 Cozumel is a place for adventures and outside sports. The air here is clean and the majority of the island is pure nature. At the same time, there are all the modern amenities of a small city such as hospitals, a cinema, and grocery stores. Perhaps one of the best things about the island is that if you don’t want to see anybody for a day it’s still easy to find secluded spots. Tell me about how and why you decided to found Spearfishing Today? For the first few years, I would describe my stay on the island as one of survival or just getting by. I used to go spearfishing every day. The people of Cozumel knew me as the blonde guy and his tricycle which I used to carry around my spearfishing gear and fish. I would fish to eat, to survive. It’s one of the best lessons I’ve learned in life. It had come to the point where I had already decided that I couldn’t make a living in Cozumel and it was time to go back to Europe. Shortly thereafter, I brought in fresh fish to a friend’s restaurant. Suddenly, someone asked me if he could join me spearfishing. “Sure, why not,” I said. We fished, shared my speargun, and had lunch afterward. 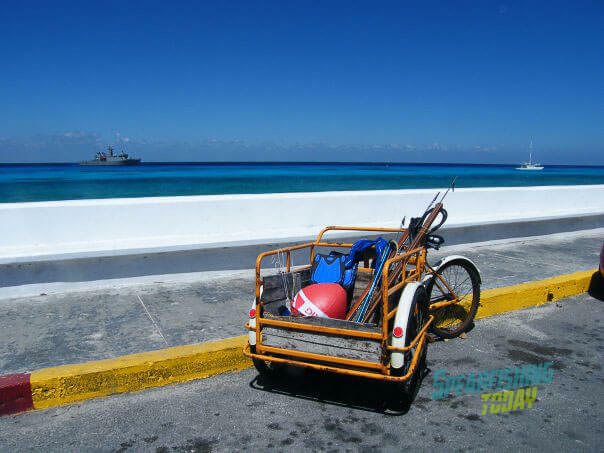 I first started as Spearfishing Cozumel just working from people helping me spread the word. After a while, I decided to start a website. At that point, I found out that someone in Cozumel had registered tons of domain names about anything and everything related to Cozumel. 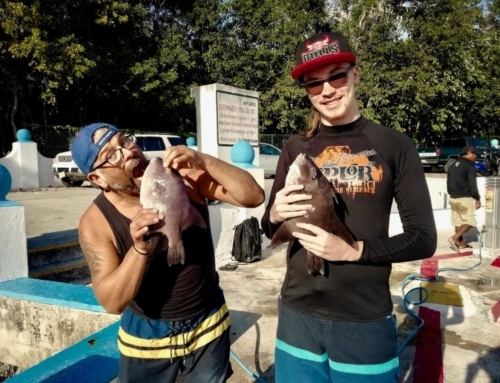 Well, SpearfishingCozumel.com happened to be one of them. I asked this person if he could give it to me since he didn’t use it. His wanted $3,000 USD in return. At the time, I hardly had $3,000 Mexican pesos. I got very upset as it felt so unfair. I finally found my passion and someone was blocking that to get some money. I decided I would just find another name, which is how Spearfishing Today was born. Why? Let’s go Spearfishing today. The name turned out to better than the one I had in mind as we now are operating out of six different locations in the state of Quintana Roo. How would you describe your relationship with the sea? I could go on forever. To begin with, for me the sea is an escape from life on land; it’s another world that forces you to think differently. It feels as if we are guests on another planet. Being at sea means getting away from daily life. Then, there’s the part about how beautiful it all is: the marine life, the corals, the push and pull of the currents, it’s all just so amazing to experience. In our region, the Mexican Caribbean, free diving is both a physical and a mental challenge, and it definitely implies a certain adventure level that you won’t find on land. Then, being able to come back home with fresh seafood is an aspect that is important for me. What we buy at the grocery store might be not fresh or may be artificially grown. We should take care of our planet. Ban non-sustainable ways of fishing. The satisfaction of getting your own food and especially enough and not too much is very gratifying. Over the last couple of years, my relationship with the sea has changed due to the fact that we try and set the right example at Spearfishing Today and to serve as a role model for the youth as well as fellow fishermen and women. 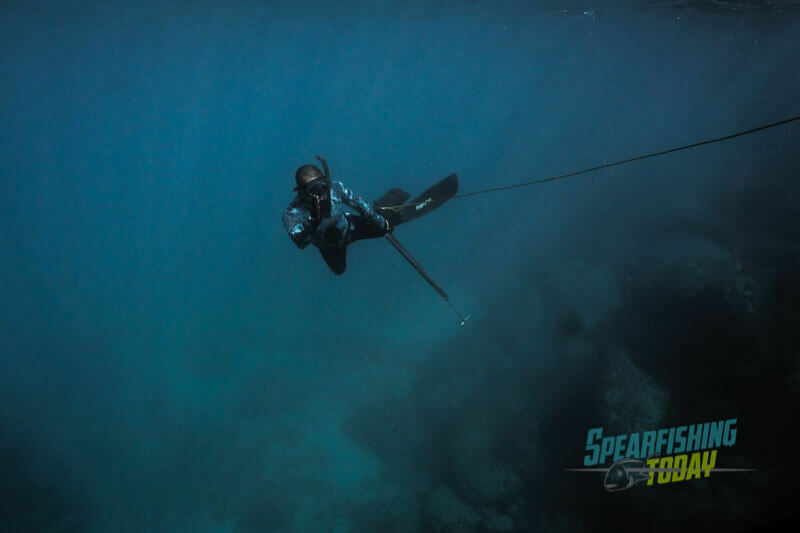 How long have you been practicing spearfishing? It’s been ten years now. When I arrived on Cozumel, I became friends with someone that used to always go spearfishing. He invited me to join him one day. It changed my life. I remember it as if it was yesterday. He picked me up in a Chevy and we drove to the other side of the island where the waves were high. He handed me a snorkel tube, mask, and fins. By the way, English is not my first language, so I initially thought that “spearfishing” meant heading out with a rod and a reel to go after fish with a “spear” such as a sailfish or a marlin. I hadn’t even ever snorkeled before, and with its high waves and strong current, the east side of the island isn’t necessarily the best spot to learn. Ten years younger and unaware of the dangers of the sea, I headed out and just followed after my friend. I swallowed a lot of salt water that day and felt horrible and was vomiting. I was sick from having taken in so much salt water, but the next day went out, bought a snorkel and mask, and headed out to the calm side of Cozumel. Standing in three feet of water, I began to learn how to snorkel. From there, I bought fins and my first speargun, and caught my first fish. Because I was in the water twice a day, I managed to develop my skills to a professional level within a relatively short period of time. Do you remember the first fish you ever speared? The very first fish I spearfished was what we call a mojarra. First, I went to the local fish market to see what kind of fish was being sold. I wanted to make sure I would hunt what I could eat. Mojarra is popular in Cozumel. It swims in shallow water and is easy to recognize. It looks silver in the sand. For several days in a row, I came back home really disappointed of having missed so many mojarras. You can find tons of mojarra here just as soon as soon as you get into the water from shore. As such, it doesn’t have much to do with hunting. You miss your shot, reload your speargun, and the next group of mojarras will pass. I’m sure the local mojarras are still laughing at me because I missed so many times. However, after a couple of days, I finally shot a mojarra. A friend and I put it on the grill and we ate it. I was so proud of myself. I also learned a valuable lesson. I had been too eager to catch a fish and they felt me coming from a mile away. What is your favorite fish to hunt and why? My favorite fish to hunt is the Cubera Snapper. Cubera is the perfect combination of a real hunt and delicious dinner. It’s a curious fish, but the Cubera Snapper is also a super smart fish. It will hide not in between other schools of fish but behind them. If you can gain the trust of a school of fish and there is a Cubera around then you have a chance of catching one. Compared to some other types of fish, the Cubera is a good fighter. Once wounded, they try to escape into a cave. It makes hunting them more adventurous. Then there’s the taste. 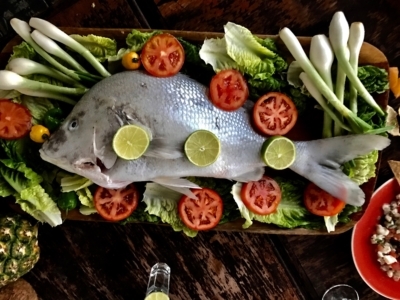 I love to eat Cubera Snapper. It has a touch more volume in its taste than say a Mutton Snapper and a better structure than a fish like grouper. 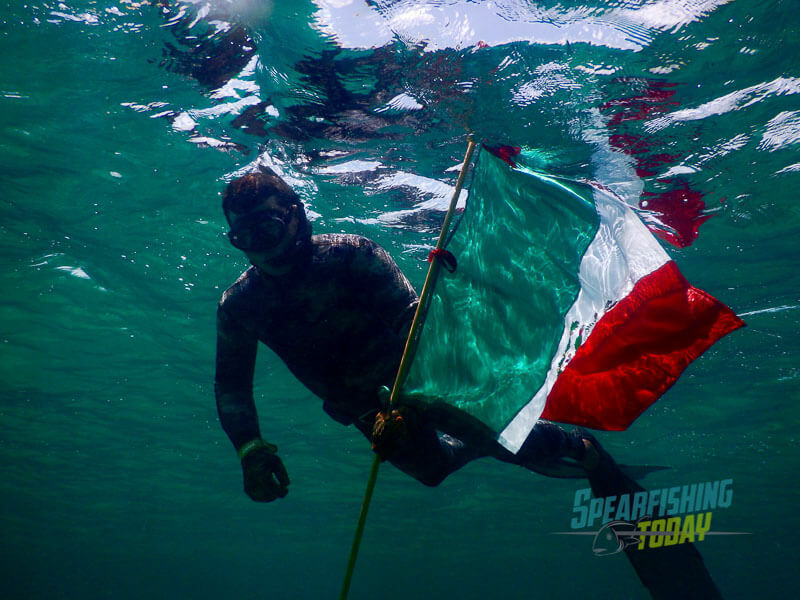 Spearfishing Mexico: Sport or Way of Life? First, however, I would like to add a caveat. I personally believe that even though what we do is a sport, spearfishing should not be held in competition. 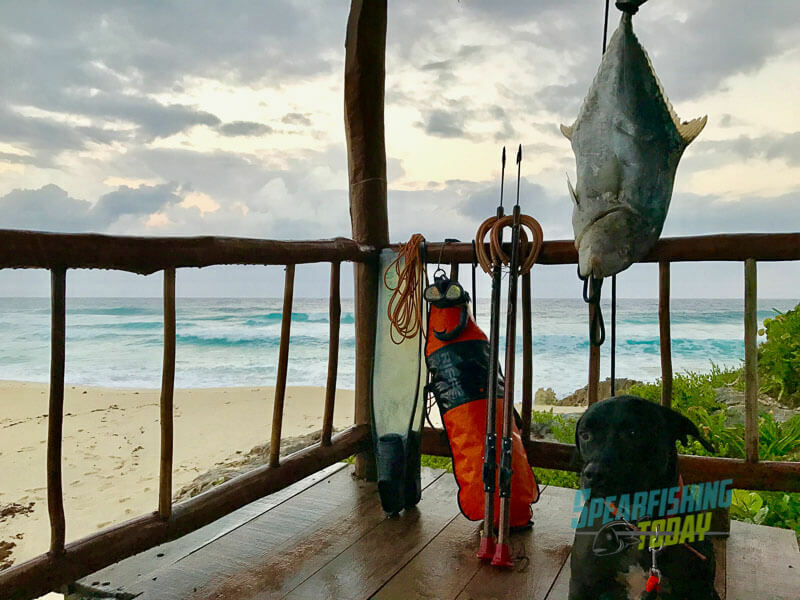 What I like so much about spearfishing is that it is physically demanding (stay in shape), mentally challenging (you will learn how to control yourself), it’s always an adventure. If you do well, you’ll always wind up with some fresh fish. I also find it so stimulating. I often find myself repeating images in my head for hours, reliving the scenes I experienced underwater. What I also like is that it’s an activity that allows you to continuously improve. I often tell people, “If you can dive down ten feet you can dive down eleven feet.” Likewise, if you can stay down for ten seconds you can stay down for eleven seconds. Last but not least, there’s the teamwork. Spearfishing involves the buddy system. In other words, there is always someone watching over you from above at all times. As an individualist, that was something new in my life, but now I love being in the water with other people. I really think you can see someone’s true character reflected in this sport. 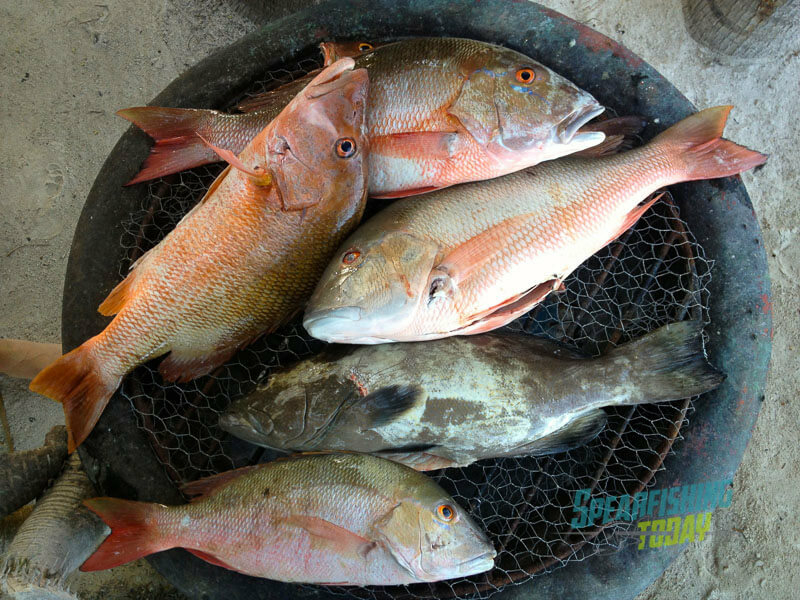 In Spearfishing Today, the slogan is “From Sea to Table.” What does that mean for you personally? First of all, it means having the freshest fish and seafood you can imagine. No conservatives, not frozen, fresh. I catch my own food, and I know where it comes from. Of course, there is also a deeper meaning, which revolves around our vision of sustainable fishing. It’s not about just following the regulations but trying to be an example of what we can do better. It’s the concept of slow fish. Furthermore, for me personally, From Sea to Table is also a mission. Because I like to eat in a hammock, not everything I eat literally goes from sea to table. However, it does make me question everything I eat and consume in life. What effect does it have on our planet? On our lives? 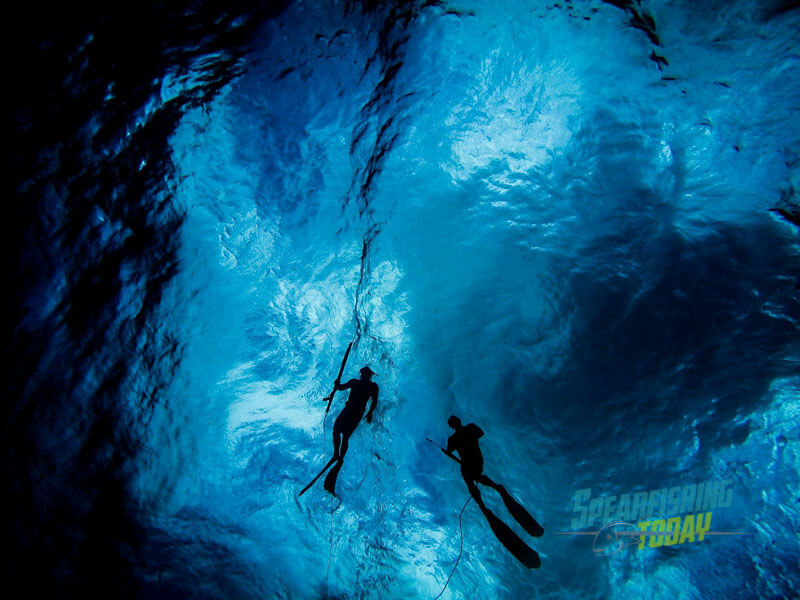 What life lessons can be learned from spearfishing? Be more with less. A simple life brings happiness. You don’t need a lot to be happy. Get in the water, have a great time, and go out and get your own food. Repeat. You’ll exercise, keep the brain active, have a great time with friends, enjoy great meals, and have great conversations. What would you say to someone who is interested in trying to spearfish but maybe has doubts about whether they can do it? You need to try it at least once. The activity itself is just great. I can assure you that you won’t find more passionate partners than our team at SpearfishingToday. Besides having a great time, spearfishing will change your life. It may sound overblown, but it really is like that. You never thought you could dive to 30 ft. on one single breath to get your own food right? You can and we will teach you in a couple of hours. Catching your food in this pure way will change your way of thinking about life. It will put your life in perspective. Maybe you’ll even question where our food comes from and what we can do to take better care of our oceans.